• NO PURCHASE NECESSARY TO ENTER OR WIN; A PURCHASE WILL NOT INCREASE YOUR CHANCES OF WINNING; VOID WHERE PROHIBITED. • AFFIDAVIT OF ELIGIBILITY, RELEASE OF LIABILITY & PRIZE ACCEPTANCE AGREEMENT MAY BE REQUIRED EXCEPT IF PROHIBITED BY LAW. • BY ENTERING (OR OTHERWISE PARTICIPATING) IN THE SWEEPSTAKES, YOU AGREE TO THESE OFFICIAL RULES, WHICH CREATE A CONTRACT SO READ THEM CAREFULLY BEFORE ENTERING. WITHOUT LIMITATION, SUCH CONTRACT INCLUDES INDEMNITIES TO SPONSOR FROM YOU, A CLASS ACTION WAIVER, AND A LIMITATION OF YOUR RIGHTS AND REMEDIES. 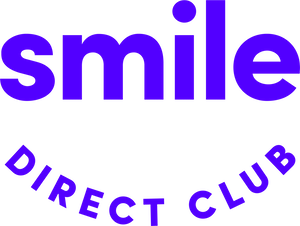 SPONSOR: The Sweepstakes is sponsored by SmileDirectClub, 414 Union Street, Suite 800, Nashville, TN 37219, United States (“Sponsor”). ELIGIBILITY: To enter SmileDirectClub’s Signed Guitar Sweepstakes, you must be a legal resident of the United States or Canada (excluding Quebec) who physically resides in the 50 United States, the District of Columbia (“D.C.”), or Canada (excluding Quebec) and 18 years of age or older at the time of entry. Employees of Sponsor or its affiliates, sales representatives, agencies, dealers, retailers, wholesalers, distributors, and promotional and other vendor agencies involved in the Sweepstakes, their respective parent companies, affiliates, subsidiaries, service agencies, independent contractors, and the immediate family (parent, spouse, sibling, child, grandparent, grandchild, regardless of where they reside) and household members of all such employees, are NOT eligible. THIS SWEEPSTAKES IS GOVERNED BY UNITED STATES LAW. DO NOT ENTER IF YOU ARE NOT LOCATED IN THE UNITED STATES OR CANADA (EXCLUDING QUEBEC) AT TIME OF ENTRY. Sweepstakes is subject to all federal, state, provincial, territorial, and local laws and regulations. Void outside of the 50 United States, D.C., Canada, in Quebec, and where prohibited or restricted by law. SWEEPSTAKES PERIOD: The Sweepstakes Period begins at 12:00 a.m. Central Time (“CT”) on February 5, 2019 and ends at 11:59 p.m. CT on February 10, 2019. HOW TO ENTER: To enter the Sweepstakes, go to the Sweepstakes’ landing page at smiledirectclub.com/shawnmendes. Complete the entry form by providing your name and email address, and then click the submit button. Limit one (1) entry per person during the Sweepstakes Period. Entries that are lost, late, incomplete, illegible, corrupted, mechanically reproduced, falsified, mutilated, damaged, altered or otherwise irregular, misdirected entries, or entries not received for any other reason will be void and disqualified at Sponsor’s sole and absolute discretion. PRIZE AND APPROXIMATE RETAIL VALUE (“ARV”): One (1) winner will be randomly selected to receive an Acoustic Taylor Guitar signed by Shawn Mendes. ARV: $2,000 USD/$2,626.50 CAD*. *Canadian conversion was made using the rates on 1/31/19 and are subject to fluctuation. All taxes on prize, if any, are the sole responsibility of the winner. For a U.S. winner: Potential winner will be required to complete and return an Affidavit of Eligibility and Release of Liability/Publicity Form (where permitted) and a Form W-9 (for tax reporting), within three (3) days of first attempted email notification by Sponsor or Sponsor’s agent. For a Canadian winner: Potential winner will be required to complete and return a Declaration of Compliance and Liability/Publicity Release within three (3) days of first attempted email notification by Sponsor or Sponsor’s agent. Also, arrangements will be made to administer a mathematical skill-test, which will be administered by phone or email (at Sponsor’s discretion), and potential Canadian winner will be required to correctly answer the question within a time limit and without mechanical or other assistance to receive the prize. Prize is not transferable, except in Sponsor’s sole discretion. No substitution or cash equivalent is allowed, except in Sponsor’s sole discretion. Sponsor reserves the right to substitute prize of the same approximate retail value if advertised prize becomes unavailable for any reason. Because the value of the prize exceeds $600, if the winner is a resident of the United States, the winner’s social security number or taxpayer I.D. will be required in order to issue a Form 1099-MISC showing prize ARV as income to winner. Prize consists only of the item specifically listed above as part of the prize. All costs and expenses not specified herein relating to the prize are the sole responsibility of the winner. RANDOM DRAW & ODDS OF WINNING: A random draw will be conducted from all entries received on or about February 11, 2019. Odds of winning depend on the number of eligible entries received during the Sweepstakes Period. Entrant selected as a winner will be notified within two (2) days of winner selection by email, using the email address provided by the entrant. Sponsor will also announce the winner on social media on or about February 17, 2019. WINNER CONFIRMATION: To verify a potential U.S. winner’s eligibility, the potential winner must complete and return an Affidavit of Eligibility and Release of Liability/Publicity Form (where permitted) and a Form W-9 (for tax reporting) within three (3) days of date of initial email notification. To verify a potential Canadian winner’s eligibility, the potential winner must complete a Declaration of Compliance and Liability/Publicity Release within three (3) days of initial email notification. Also, arrangements will be made to administer a mathematical skill-test, which will be administered by phone or email (at Sponsor’s discretion), and potential Canadian winner will be required to correctly answer the question within a time limit and without mechanical or other assistance to receive the prize. If a potential winner cannot be confirmed for any reason, cannot be contacted, an email notification is returned as undeliverable, potential winner fails to sign and return any documents requested by the Sponsor within the required time period, declines the prize or prize is returned as undeliverable, or potential winner is deemed to be ineligible according to these Official Rules, such potential winner forfeits the prize. In the event that a potential winner is disqualified for any reason, Sponsor will award the prize to an alternate winner by random drawing from among all remaining eligible entries. All alternate potential winners are subject to all requirements set forth in these Official Rules. Only three (3) alternate winners will be selected, after which the prize will remain un-awarded. PUBLICITY RELEASE: Except where prohibited, acceptance of the prize constitutes winner’s consent that his or her name, likeness, voice and/or biographical data may be used for advertising and promotional purposes without limitation and without additional notice, compensation, or consent. ENTRANTS’ AGREEMENT TO ABIDE BY OFFICIAL RULES: By entering, entrant agrees that s/he has read, accepted, and will abide by and be bound by these Official Rules and agrees that any dispute with regard to the conduct of this Sweepstakes, rule interpretation, or the awarding of the prize shall be submitted to Sponsor, whose decision shall be binding and final. RELEASE OF LIABILITY: By entering, entrant agrees to release and hold harmless Sponsor and its dealers and retailers, affiliates, sales representatives, agencies, wholesalers, distributors and promotional and other vendor agencies involved in the Sweepstakes, their respective parent companies, affiliates, subsidiaries, service agencies, independent contractors, and the officers, directors, employees, agents and representatives of any of the above organizations (“Releasees”) from any injury, loss or damage to person, including death, or property due in-whole or in-part, directly or indirectly, to the acceptance or use/misuse of the prize, participation in any Sweepstakes-related activity, or participation in the Sweepstakes. LIMITATION OF LIABILITY: Releasees are not responsible for and each entrant releases and holds harmless the Releasees from and against any and all losses, damages, actions, demands, liabilities or claims of whatever nature or kind arising out of, or in connection with a prize or any portion thereof or this Sweepstakes. Without limiting the generality of the foregoing, the Releasees will not be responsible for any typographical or other error in the printed or other related material related of this Sweepstakes, the administration of the Sweepstakes, the selection of entrants, in the announcement of the prize, including erroneous appearance of qualification for the prize, any entries or entrants disqualified for any of the reasons stated in these Official Rules, or any loss, damage or claims caused by, or in any way related to the prize or the Sweepstakes itself. CHANGES TO SWEEPSTAKES, OFFICIAL RULES, ETC. : Under no circumstances will more than one (1) prize be awarded. Sponsor reserves the right, in its sole and absolute discretion, to modify, cancel, or suspend this Sweepstakes, or to amend the Official Rules at any time, without prior individual notice, should any factor interfere with the administration, security, or proper play of this Sweepstakes as contemplated by these Official Rules. If for any reason Sponsor is prevented from continuing with this Sweepstakes, or the integrity and/or feasibility of the Sweepstakes is undermined by any event including but not limited to fire, flood, epidemic, earthquake, explosion, labor dispute or strike, act of God or public enemy, satellite or equipment failure, riot or civil disturbance, war (declared or undeclared), terrorist threat or activity, or any federal, state, provincial/territorial or local government law, order or regulation, order of any court or jurisdiction, Sponsor shall have the right, but not the obligation, in its sole and absolute discretion, to award the prize from among all entries received to date. DISPUTES/CHOICE OF LAW / LIMIT OF LIABILITY: EXCEPT WHERE PROHIBITED, Each entrant agrees that: (1) any and all disputes, claims, and causes of action arising out of or in connection with this Sweepstakes, or any prize awarded, shall be resolved individually, without resort to any form of class action, and any judicial proceeding shall take place in a federal or state court in TENNESSEE; (2) any and all claims, judgments, and awards shall be limited to actual out-of-pocket costs incurred, including costs associated with entering this Sweepstakes, but in no event attorneys’ fees; (3) under no circumstances will entrant be permitted to obtain awards for, and entrant hereby waives all rights to claim punitive, incidental, and consequential damages, and any other damages, other than for actual out-of-pocket expenses, and any and all rights to have damages multiplied or otherwise increased; AND (4) IF, FOR ANY REASON, ANY DAMAGES MAY BE AWARDED BY A COURT OF COMPETENT JURISDICTION, THE LIMIT OF SPONSOR LIABILITY UNDER THESE OFFICIAL RULES OR OTHERISE IN CONNECTION WITH THIS SWEEPSTAKES SHALL NOT EXCEED $100. All issues and questions concerning the construction, validity, interpretation and enforceability of these Official Rules, or the rights and obligations of entrant and the Sponsor in connection with this Sweepstakes shall be governed by, and construed in accordance with the laws of the State of TENNESSEE, without giving effect to any choice of law or conflict of law rules or provisions OF any other jurisdiction that would cause the application of the laws of any jurisdiction other than those of the State of TENNESSEE. RULES GOVERN: The Sweepstakes will be run in accordance with these Official Rules, which shall prevail, govern and control in the event of any inconsistency with any Sweepstakes-related materials. These Official Rules are subject to change from time to time at Sponsor’s discretion, and only the currently posted form will apply. WINNER’S NAME: For the name of the Sweepstakes winner, please see Sponsor’s social media accounts or send a self-addressed stamped envelope to: SmileDirectClub Signed Guitar Sweepstakes – Winner’s Name, 414 4th Avenue North, Suite 800, Nashville, TN 37219, United States. Requests for Winner’s Name should be submitted by May 31, 2019.